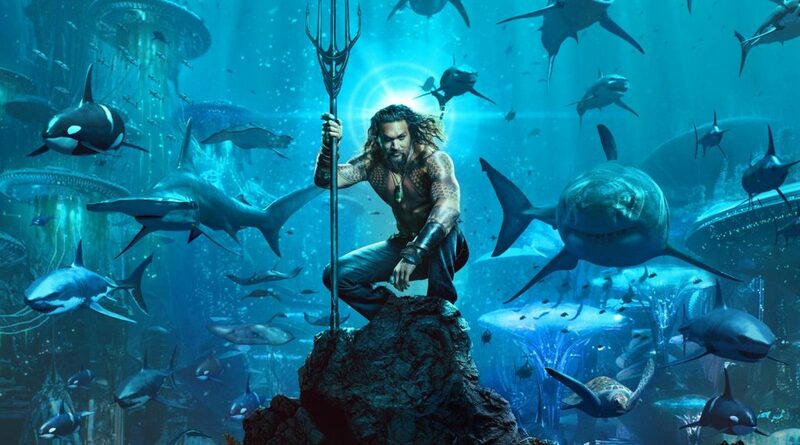 I won’t go so far as to say that Aquaman is why I’m no longer a movie fan, but it’s definitely not helping. I can’t bring myself to see Aquaman. Normally, this would be unremarkable, but I used to be a huge movie fan. I aspired to be a filmmaker! I went to a ridiculously overpriced and unhelpful film and television school! I was always on top of what was going on in popular movies, at least, and I saw everything that was dominating popular discussion. But a while ago, I realized that for the past few years, I’ve only seen one or two of the Best Picture Oscar nominees. This year, I realized I don’t even know who the nominees are. (Except for Black Panther, which I did see, and it was awesome). Toward the end of last year, I tried to reawaken that love of cinema within myself by joining AMC’s “A-List,” which charges $20 a month to see up to three movies a week. Here in the Bay Area, a single ticket can be around $16-$20, so seeing at least two movies a month will make the subscription cost worth it. Except last month, I only saw one movie. I kept making reservations to see Aquaman — keeping my expectations very low and planning to go just for spectacle and silly fun — but kept being surprised by how little it took to keep me from seeing Aquaman. I’m in the Mission and the movie starts in 15 minutes? I’m not going to rush all the way across the city to see Aquaman. I just got home from work and have nothing planned for the night? I just go comfortable; I don’t feel like dragging myself out of the house just to see Aquaman. I’ve got a completely free Saturday, I want to get out of the house, and I need to see just one more movie to make my movie pass “worth it” for the month? I guess I can go see Aquam— hang on, this movie is two and a half hours long?! It’s not just that DC’s attempts to form a cinematic universe have wavered between uninteresting and actively repellant. (And I’m possibly the only person in the US who kind of liked Man of Steel!) I still haven’t seen Pixar’s last few movies, and they used to be opening-weekend essential for me. These days, all I see are the occasional huge event movie (and every single entry in the Marvel cinematic universe, because they’ve been surprisingly consistently solid). I realize that moviegoing has been on the decline in general, which is the whole reason that stuff like “A-List” exists in the first place. But it seems to be that it’s not just the moviegoing experience has suffered — having to put up with parking, rude people in the audience, the high costs of concessions — but the movies themselves. Apart from the MCU and the occasional animated release, there’s just not that much interesting going on in movies anymore. The most talented filmmakers (IMO) are the Coen Brothers and Alfonso Cuaron, and they’re doing projects for Netflix that don’t require me to leave the house. Going to the theater used to seem like such an event, but in 2019, it feels like more and more of an anachronism. It’s not just that there’s little “social” feeling anymore; the audience actually actively harms the experience. Over the years I’ve had several memorable, once-in-a-lifetime experiences seeing a movie in a theater with a crowd: the first time seeing The Empire Strikes Back in Atlanta, seeing Raiders of the Lost Ark in college with a theater full of fans who cheered every stunt and hissed at all the villains, seeing the first Scream movie with a bunch of rowdy teenagers yelling back at the screen, and seeing The Force Awakens on a rainy night in a small theater in San Francisco with a theater full of wounded but still optimistic Star Wars fans. Those are experiences you just can’t get from even the best home theater system. But five times over nearly forty-eight years isn’t a great average, either. I don’t know what the answer is, but I know two and a half hours of Aquaman isn’t it. Even if I can kind of see it for free.